There is sound reasoning for using advanced slurry valves in a number of industries where targeted efficiency and productivity require process parameters that may seem totally intolerable for materials and construction – namely non-stop exposure to abrasive and erosive solids that often move at very high velocities. Fully complying with engineering codes, safety standards and emission requirements is a good starting point. But creating genuine added value only comes from the extra performance that can be offered on top of just the minimum requirements. With intelligent instrumentation and digitalisation, processes can be maintained and serviced based on the actual condition of the equipment, instead of the assumed or average equipment condition. Then, when reliability and performance is consistent, maintenance operations can be put on a planned schedule. In the best case, maintenance shutdowns can be shorter, safer and less frequent, since technological improvements can extend the effective lifetime of key equipment such as valves. 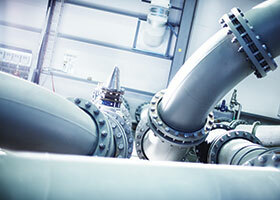 Slurry valves are part of critical process control in several industries, in applications for which the targeted efficiency and productivity require process parameters that may seem totally intolerable – for any material or construction. In the most severe applications, slurry processing valves must withstand nonstop exposure to abrasive or erosive solids that move at very high velocities, often at high temperature. Despite the careful sizing of control valves, flashing and cavitation are sometimes unavoidable, which further increases the loading of internal surfaces in valves. Also, the medium may contain chemicals capable of dissolving metals very quickly. Taking mining and metallurgy processes as an example, valves often operate in an extremely demanding environment. Then it becomes necessary to find both the optimal valve design and the best construction materials for each component. In isolation service, knife gate valves have been used for slurries when the characteristics of the medium do not prevent reliable closing or opening. But this type of valve design is not the most optimal for control service. Pinch valves have been used in slurry applications, but are not an option at higher temperatures – above the safe temperature range of rubber materials. Valve designs based on metallic construction materials and a rotating closing member generally offer the best combination of reliable operation and component durability over the widest range of parameters. For slurry media, innovations in wear-protection materials and the development of functional coatings have both contributed to supporting the use of metallic, metal-seated valves in severe control service. During the current decade, the use of innovative wear-protection materials in the construction of Metso ball valves has resulted in encouraging results in severe slurry control service, even with operating pressures up to 30 bar and temperatures of 200-300°C. The Metso Wear Block materials include metal matrix composites, in which the erosion resistance approaches the performance of ceramic materials, while the mechanical and electrical characteristics are like metals. Depending on the process environment for each application, the final material selection is matched to specific requirements for corrosion and wear resistance – and to the targeted maintenance schedule and overall lifetime. For each case, a broad range of details matter when selecting the material that can live up to the expected performance. The outcome of using these Metso wear-protection solutions has helped to multiply the effective lifetimes of valves. In the most successful cases, these improvements have reduced operational and valve replacement costs by more than 90%. This means a similar reduction in potential HSE risk situations due to replacement or repair work – or due to cases of unexpected valve failures, if maintenance is delayed. These achievements also help with environmental sustainability, since equipment manufacture, service operations and logistics consume fewer materials and much less energy. In addition to efficiency, an uninterrupted production process generally has a very positive effect on product quality, a prerequisite for better productivity in any industry.